Noodle is one of the most consumed Chinese food products in the world. It a type of staple food made from a type of unleavened dough that is rolled flat and cut into various shapes, most traditionally in long thin stripes. 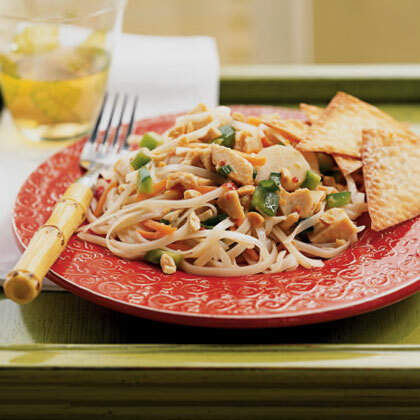 There are many dishes made up from Noodles, but nothing matches the delicious and tasty Spicy Asian Chicken Noodle Salad. 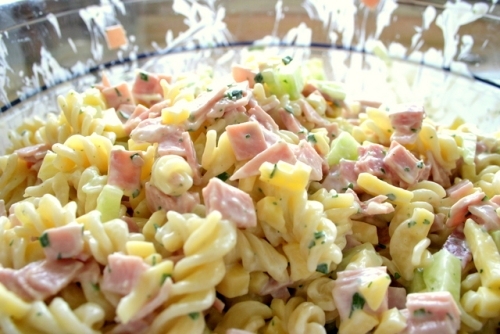 This mouth-watering salad can be used as a side serving along with your other main course at the dinner, but can also be served as a genuine main course. Preparation Time: 30 to 40 minutes. Utensils: Food processor, large pot, large bowl, drainer, tablespoon, teaspoon, serving dish. Take a large bowl, and add peanut butter, soy sauce, rice vinegar, chilli-garlic sauce, brown sugar, ginger and 3 tablespoons of broth. Pour all the ingredients in the food processor, and blend them together until the mixture becomes smooth. 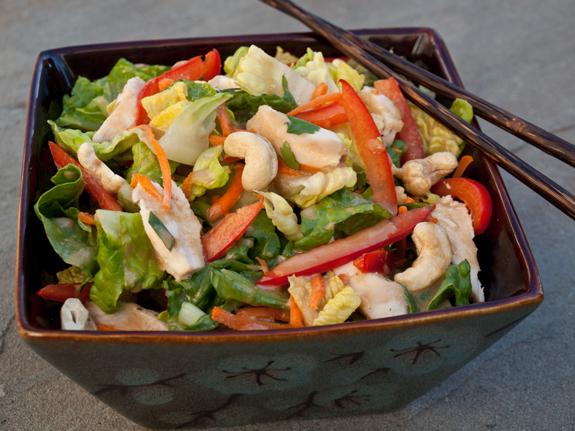 Sprinkle salt and pepper according to your taste, and your dressing for the ‘Spicy Asian Chicken Noodle Salad’ is ready. Take a large pot, and add salted water in it. Now add noodles in the pot, and place it over medium heat. Cook the noodles until they are tender. 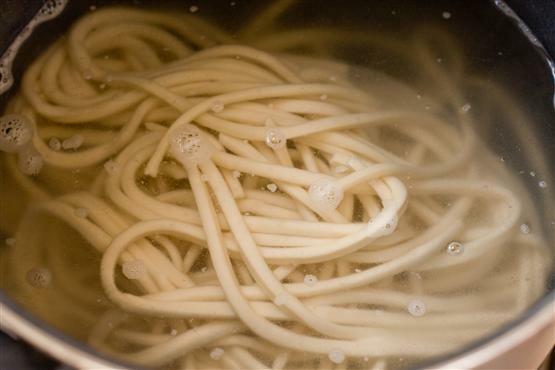 Drain the noodles, and rinse it with cold water to cool before pouring it into a large serving dish. Now add chicken, carrots, green onions, bell pepper and cilantro over the noodles, and toss it to blend all the ingredients together. Pour the dressing over and toss the dish to coat it properly. Sprinkle more broth with the help of tablespoon, while add more salt and pepper according to your taste. Serve as you need.